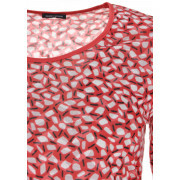 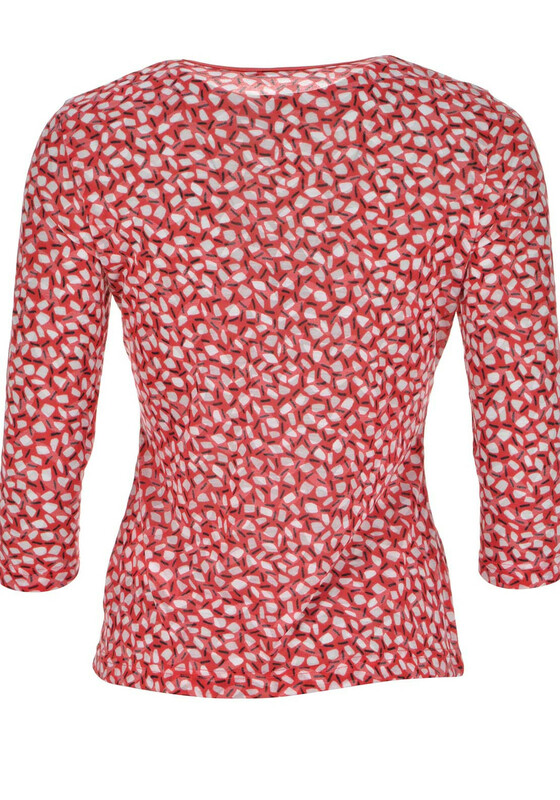 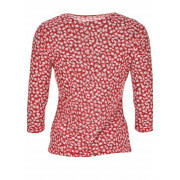 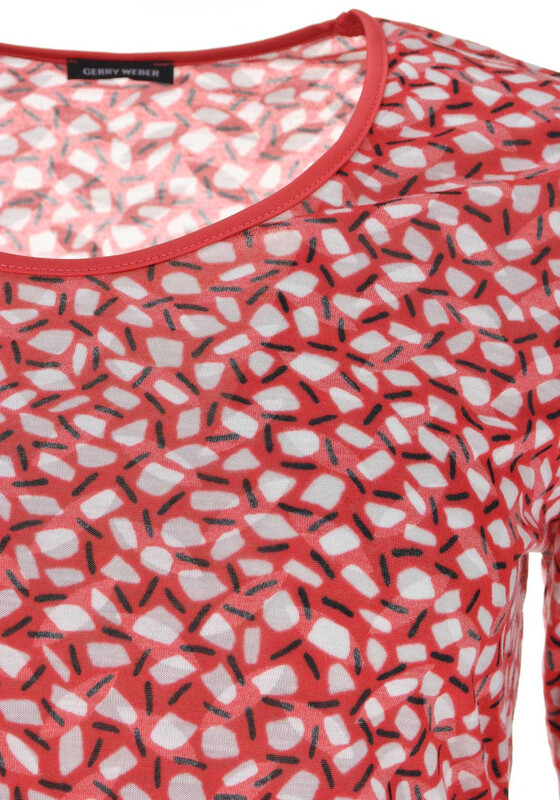 Made from semi-sheer lightweight jersey fabric, this red top from Gerry Weber would be a comfortable choice for the office worn with a skirt or trousers. 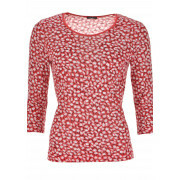 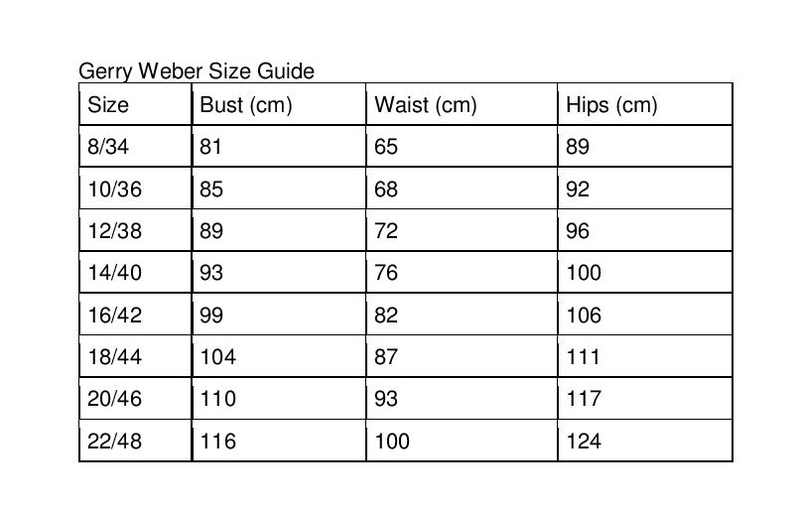 Styled with a figure fitting straight shape and featuring an eye-catching print throughout. 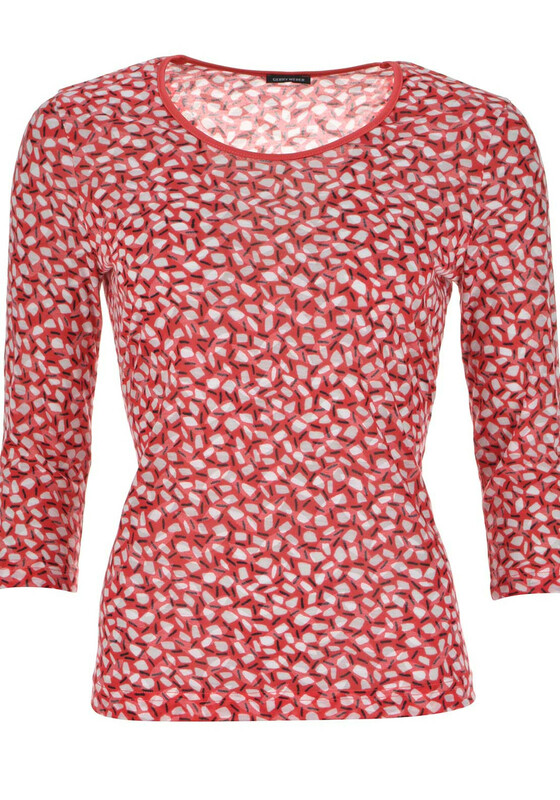 Cropped sleeves and a round neckline complete the look.